"You MPs ringfenced your own pensions - you should be ashamed"
"The government gets its money from one place and that's taxes, and the taxes come from its people and that's us. People like Cameron & Osborne should be ashamed of themselves leaving your country in a mess. You've left your country trillions in debt, so much in debt that you've taken our pensions off us to make up your shortfall. I contributed to my pension from being 16 years old - what have you done with my pension contributions? Where are they? You've had the money, where are the contributions? You have had the money off me and millions like me and we're supposed to take it on the chin? You are a slimeball worm Cameron - and millions like me agree. If I was an MP, I couldn't take a wage rise while I was doing that to people in this country. You MPs ringfenced your own pensions - you should be ashamed of yourselves." 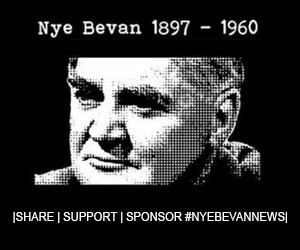 - JS Don't mess with the WASPI - Women Against State Pension Inequality Campaign #WASPIWomen #ToryElectionFraud #TheresaMay #JC4PM #Labour #TheLabourParty |Share|Support|Sponsor #NyeBevanNews|Contribute and help us grow paypal.me/NyeNews| (Clarification : Although I whole heartedly agree that our pensions have been stolen from us (including me as a Waspi member), I am not sure i agree with the conclusion that its all down to Mr. Cameron. The pension changes which have in effect made women wait up to six years more for their pensions started with a Labour Government. The effects were then compounded by the Coalition Government and the forefront of those changes was MP Webb a Liberal Democratic. I think all politicians are to blame and at the same time take big fat pensions that we are paying for. “The government gets its money from one place and that’s taxes, and the taxes come from its people and that’s us. People like Cameron & Osborne should be ashamed of themselves leaving your country in a mess. You’ve left your country trillions in debt, so much in debt that you’ve taken our pensions off us to make up your shortfall. I contributed to my pension from being 16 years old – what have you done with my pension contributions? Where are they? You’ve had the money, where are the contributions? You have had the money off me and millions like me and we’re supposed to take it on the chin?